Golden Triangle Bike specializes in arranging itineraries, transportation, bike rentals, luggage transfer and all other logistics for your Self-Supported/Guided Adventure on the Great Allegheny Passage. Your trip happens on your time frame, at your pace and is not pre-determined by a group tour schedule. You and your riding partners will be out on this glorious trail, experiencing nature, riding bikes, visiting small towns, and having your own unique experiences! You are riding at your own pace without keeping to the regimented schedule of a guided tour experience . Stop to eat when you are hungry, take a break when you are tired, have a beer when you are thirsty….you get the picture. Of course, with this freedom comes some responsibility. 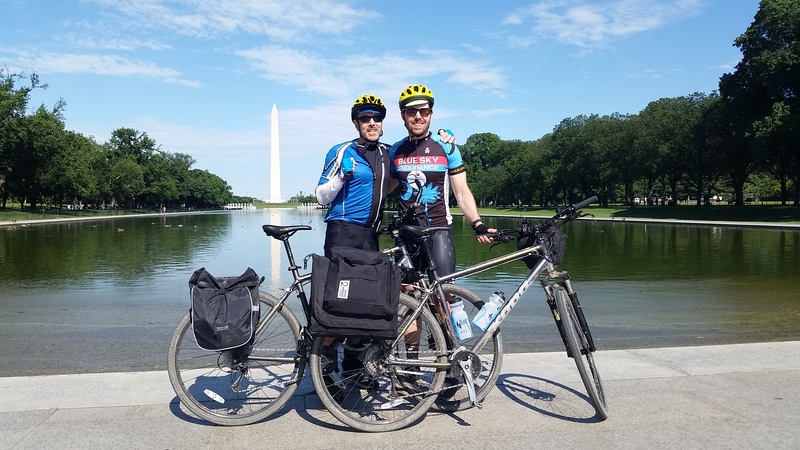 Through our website and correspondence, Golden Triangle Bike makes every attempt possible to set your expectations and keep you as informed about what to expect on a self-guided adventure on the GAP and C&O. We want you to be fully aware of what the trail, the trip and our services have to offer in support of your adventure. The key element of your adventure. We go to great lengths to ensure that we match you up with the perfect bike for your adventure. We also prep our bikes to ensure that you will encounter the least amount of problems while you are out there on your own. However, we can’t guarantee a 100% trouble-free ride. Its VERY rare that on our 500+/year riders has an issue that stops them in their tracks….but your should definitely be aware of the following points. Know the basics- How to change a tube/flat, adjust a brake, make minor repairs, break a chain, use basic bike tools, and know the basic elements of the bike. We recommend taking a basic bike maintenance class at a local bike shop, outdoor store or buy your bike-centric friend a beer and have them give you the scoop. Emergency Bike Repair Service- This does not exist on a self guided adventure…sorry. We would love to jump out of the woods and help you with anything that happens along the way. However, we are not ninjas. Truth is you are never too far from a bike shop or friendly cyclist that can lend a hand. If you have an issue that you cant handle, give us a call, we can get you to the nearest bike shop or do our best to walk you through an issue……but don’t forget, you should be prepared to handle most issues on your own. Whether you are self-planning or Golden Triangle Bike is setting up your itinerary, you should allow plenty of wiggle-room on each day to deal with weather, trail conditions and the physical strains that come with a self-guided multi-day bike tour. Your lodging reservations are likely locked-in and non-refundable …….so keep this in mind. On a guided tour, you have the luxury of jumping in the van and skipping a day or section of trail. We can definitely set you up with a shuttle in most cases, but it can be costly and not immediate. Be conservative when developing your itinerary and daily mileage. It’s not a race. We like to think of ourselves as your portal to this once in a lifetime adventure. We are setting up the logistics, supplying you with the gear and you are having the adventure. On a guided tour experience your outfitter is there every step of the way. In this scenario, we are giving you the tools you need to go at it alone….which is super exciting and fun!. However, if this level of independence is not for you, there are plenty of outfitters that will get you out on the Great Allegheny Passage for a guided experience. We will even hook you up with them if you’d like.